I went to Papua New Guinea in January 1965 to teach in the Primary Schools there. I remained there until July 1973. The following pictures are some of the many photos I took whilst there. 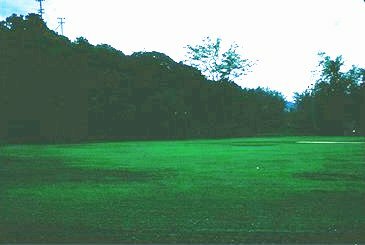 These were coloured slides which were converted in 1993 to the then new Kodak CD technology. Most of my slide pictures were ruined in the cyclone Tracey which destroyed the city of Darwin, Australia, on Christmas Day 1974. These are the only ones which survived and some of these are water and mould marked. 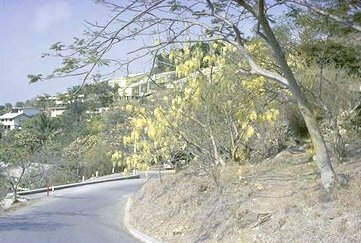 Looking up Touaguba Hill toward Touaguba Hostel, Port Moresby, where I lived for some time, seen in the distance as the pale green buildings cascading down the hillside. 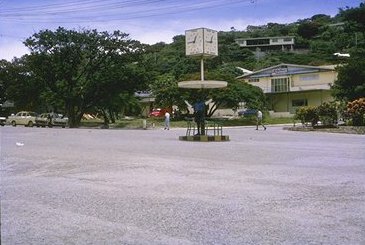 The School Oval for Ela beach Primary School, Port Moresby. 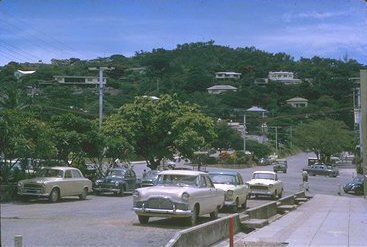 Looking down one of the main streets in Port Moresby towards Paga Hill. A policeman on point duty under a shelter can be seen in the middle of the road intersection. 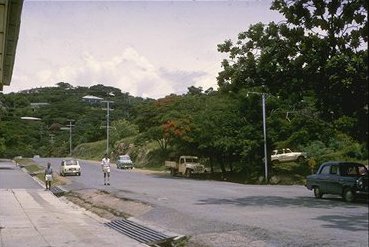 Looking down one of the main streets in Port Moresby. 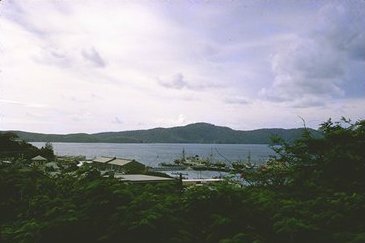 This is shipping wharf, Port Moresby.